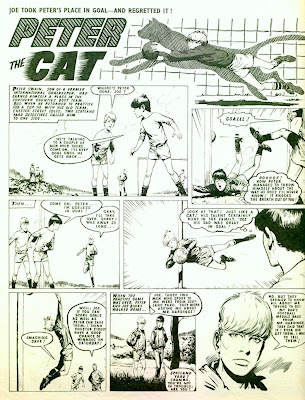 On Saturday 12th September 1970 IPC Magazines launched a new addition to their growing line of new weekly comics. 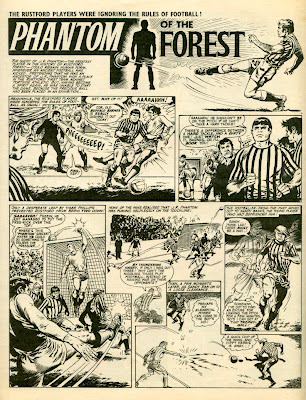 Score 'n' Roar was a 32 page football comic/magazine featuring the same "two in one" gimmick as IPC's Whizzer and Chips had pioneered a year earlier. 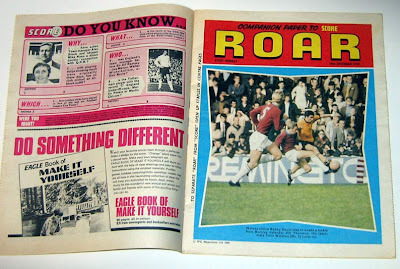 Score and Roar were effectively two 16 page comics, with Roar being a pull out in Score's centre pages. The contents seemed pretty strong. More or less a 50/50 split of strips and features, more colour than the average IPC comic, and photogravure printing giving quality reproduction to artwork and photographs. Yet it only lasted for 41 weeks before merging into companion footie comic Scorcher. What went wrong? 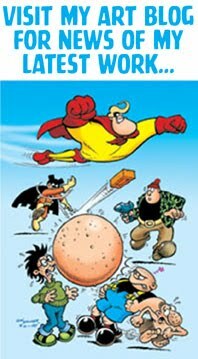 1) The "two in one" gimmick was convincing for Whizzer and Chips because its main rivals, Dandy and Beano, at that time were 16 page comics for 4d (8d in total). 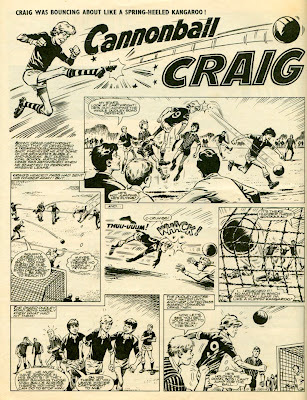 So Whizzer and Chips being "two" 16 page comics for 6d undercut DC Thomson. However, Score 'n' Roar were claiming to be two 16 page comics for 9d in a market where other adventure comics had 32 pages for around 7d each. (Yes, a mere 2d made all the difference in those days.) Therefore Score 'n' Roar seemed poor value in comparison, and its "two in one" gimmick seemed phony (which of course it was). 2) Score 'n' Roar fell between two stools. Was it a comic or a magazine? Only a year previously IPC had successfully launched footie mag Shoot! Why should Shoot's loyal fanbase buy Score 'n' Roar when they could get more football info from Shoot? 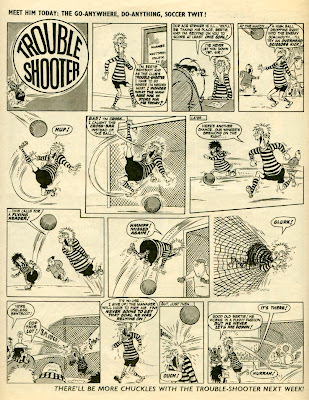 3) Similarly, IPC had earlier that year launched footie comic Scorcher. Again, why should readers of Scorcher buy the more expensive Score 'n' Roar? By their very nature theme comics only appeal to readers interested in that theme and this was stretching things too thin. Seemed there was only enough support for one football comic and Scorcher (being newsprint and cheaper to produce) had the upper hand. Cannonball Craig. "Skinny Craig Cartwright found that he developed a tremendous cannonball shot whenever he ate some of his Grandpa's bubble and squeak". Ok, daft premise, but the artwork (either by a rushed Mike Western or Mike White, I can't tell) was strong enough. Peter the Cat. Artwork by Tom Kerr. Kid goalie who amazed everyone with his skill. Clearly inspired by Peter Bonetti. Not Kerr's best work, but he was quite prolific at that time. Phantom of the Forest. Art by Jesus Blasco. Ghost of deceased footballer who could gain human form whenever an ancient football was kicked. 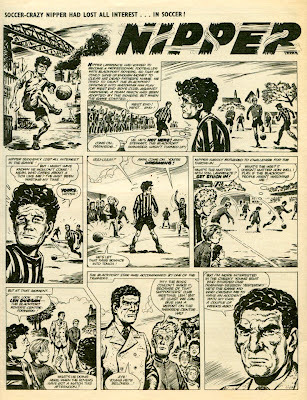 Typically barmy British comics premise but interesting to see Blasco drawing a football strip instead of The Steel Claw. Trouble Shooter. Art by Graham Allen. 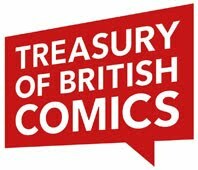 The token humour strip in the comic. 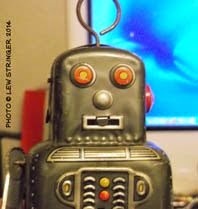 Nipper. Art by Solano Lopez. 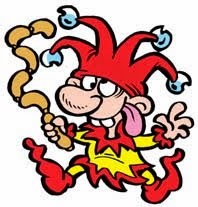 Easily the most popular and enduring character in the comic. Young Nipper Lawrence struggles to rise from poverty and to clear the name of his dead father. Featured a thuggish character called Pete Belcher,- one of IPC's best names for a villain. Clearly the readers responded well to this emotional story of a hard luck hero as the strip successfully carried on in Scorcher and later into Tiger for many years. Score 'n' Roar seemed to be in trouble from the start. A few months after its launch it became simply Score (dropping the "two in one" gimmick). This prepared it for its merger into Scorcher at the end of June 1971. Nice rundown of this little-known comic. According to my (woefully incomplete) listing for Score 'n' Roar, Cannonball Craig was drawn by Mike White. As I recall, Scorcher was indeed put out on newsprint from its beginning and even while Score 'n' Roar was around. But in early 1971 Scorcher changed to web offset, resulting in better printing of photos, particularly colour. Presumably this was something to do with when the merger with Score took place? That's right. Also, if I remember correctly, SCORE went to web offset just before its merger into Scorcher. So the combined Scorcher and Score probably just carried on with the Score contract for web offset with the printer. Something else I recall is that for the brief time that Scorcher and Score existed as separate titles whilst both being produced using web offset, they had different styles in appearance. Scorcher, when it went to web offset, looked more or less as it had always done, while Score had a slightly different look to it. When the two titles merged Scorcher resembled Score in its look and style, and would do so for the rest of its life. 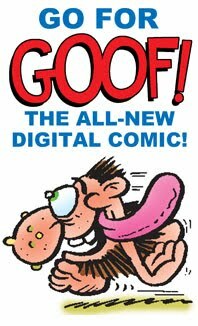 This tended to happen a lot with comic mergers, the host comic taking on aspects of the comic it was absorbing: Tiger (newsprint) merged with Jag (web offset) and thereafter was printed using Jag's web offset. When Lion merged with Thunder the "new " title seemed to me, IIRC, to be more Thunder than Lion, right down to the one-line facts at the top of each page. Thanks for posting the foot-comics !Especially the Peter The Cat page. Tom Kerr is the second artist on Billy's Boots in Scorcher. Extreem populair in Holland.Publiced in books in Colour, but never with credits. Maybe fun to now; in 1975 dutch artists ended the never ending story of Billy and his wonderboots. The let him grow up. And he became a proffessional with a contract. In 1980 new albums with artwork from John Gillat appeared. With cover-artwork especially made for the Dutch market. Thanks for the info Alex. I'd heard Billy's Boots was popular over there. I'd be very interested in seeing a scan of a page of the grown up Billy version if you have one to send. Just one page and a cover would do if it's convenient for you. If not, no problem. I was a devoted Scorcher and Score reader and loved Nipper in particular. I followed his progress through to Tiger and Scorcher and beyond. 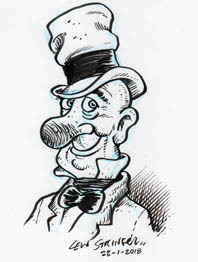 However, at a certain point the drawing of the strip was taken over by a different atist and it was nowhere near as good as the original which detracted from the story somewhat. The league ladders & tabs free gift that came with issue 1 is one of the hardest 1st issue gifts to find -in any condition,nevermind un-touched.Interestingly,1970 is the only year that Shoot didn't giveaway their own trademark versions to mark the start of every new season. So,presumably,they didn't see it as a regular thing (for Shoot) when they brought out the launch set in Aug.1969,and had a rethink in 1971. 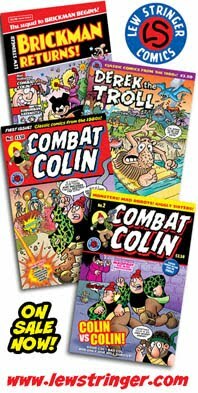 I bought this comic religiously every week, until near the end when my newsagent stopped stocking it. I loved it because it seemed to be half-way between a comic and a magazine. Easily my favourite story was 'Phantom of the Forest', but because I missed the last few episodes I never found out what happened - can anybody tell me? 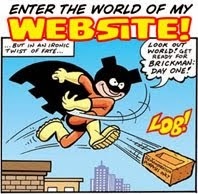 I've been googling it since about 1999 and this website is the nearest I've got! 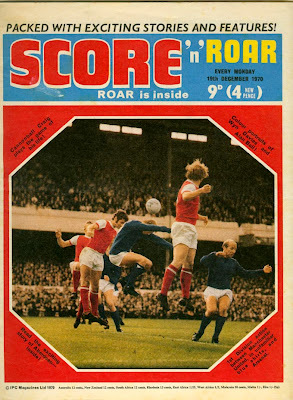 SCORE AND ROAR commenced on the 19TH SEPTEMBER 1970 not the 12th as stated on your report. 19th September was the cover date. Back then (well, up until recently) comics were dated in advance. Issue one was published on Sept 12th. Yes, Solano Lopez had a knack of making all his characters look a bit grimy I think. Raven on the Wing being another example. I found it quite amusing myself, especially when compared to the clean cut heroes by other artists. Yes, there must have been tens of thousands of us fiddling with those league ladders every Sunday morning. Something like that would seem so archaic to modern kids. Could it be Hot-Shot Hamish? Thanks, Lou. But it wasn't "Hot-Shot Amish" either. The one we are reffering to, has quite realistic drawings. Thanks for the tip-off, Lew. (Embarrassingly), when I read this post first time around I didn't know who had drawn my favourite Valiant strips! I have learnt SO much over the past few years from the blogs! Comments like that are what make it worthwhile for those of us who do blogs, John. Thanks. "Wow! It's POW! - the Comic of Now!"